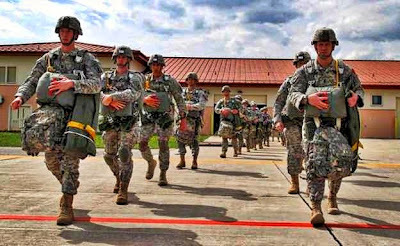 WASHINGTON, DC -- U.S. Army paratroopers are arriving in Poland to begin a series of military exercises in four countries across Eastern Europe to bolster allies in the wake of Russia's annexation of Ukraine's Crimean Peninsula last month. 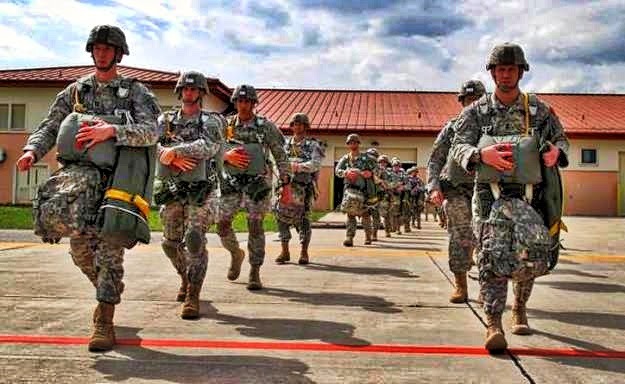 An Army company of about 150 soldiers from the 173rd Airborne Brigade Combat Team based in Vicenza, Italy, will start the exercises Wednesday in Poland. "It's a very tangible representation of our commitment to our security obligations in Europe, and the message is to the people of those countries and to the alliance that we do take it seriously. And we encourage our NATO partners to likewise look for opportunities of their own to do this same kind of thing for one another," said Kirby. "And I think if there's a message to Moscow, it is the same exact message — that we take our obligations very, very seriously on the continent of Europe." Armed pro-Russia groups have occupied areas in eastern Ukraine and have refused to leave until the country's acting government resigns. There was a burst of violence Sunday, with three people killed during a shootout at a checkpoint manned by pro-Russian troops. The U.S. has asserted that some of the troops are Russian special operations forces, and officials are pressing Russian to abide by an international accord aimed at stemming the crisis in Ukraine.